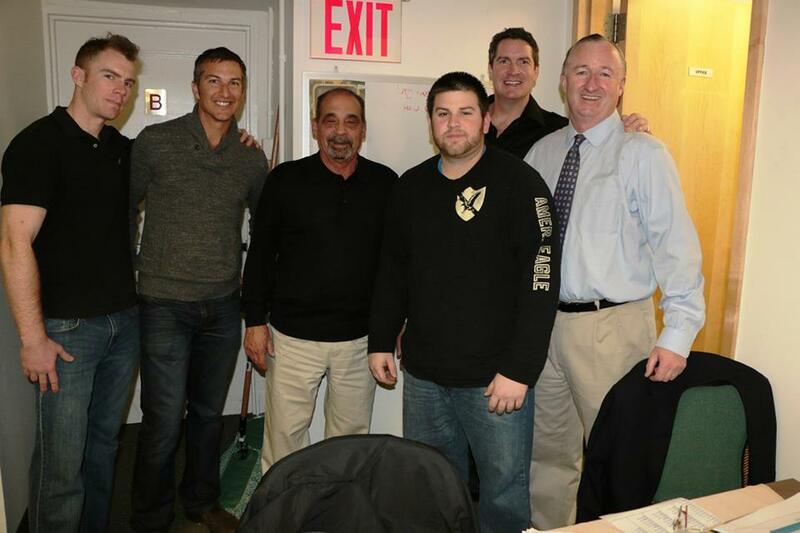 The WPH returns to the “Big Apple” for the second consecutive year for the final regular season event of the R48, WR48 and SR48 tours before the season-­‐ending Player’s Championship in April. The famed New York Athletic Club, home to the best handball in the world for over 60 years, will play host to the best R48, WR48 and SR48 stars on the planet. Paul Brady and Catriona Casey claimed R48 and WR48 titles in the inaugural Race 4 Eight stop in New York in March of 2014 and both will be gunning for repeat championships in the city that never sleeps. Brady and Casey will also be looking to continue their perfect Race 4 Eight seasons, as Brady aims to complete the first men’s perfect R48 season in history, while Casey aims to duplicate her perfect WR48 season from maiden WR48 season. The Senior’s will also be in action in their third event of the SR48 III season and New York will guarantee a first-­‐time victor on the SR48 III season. 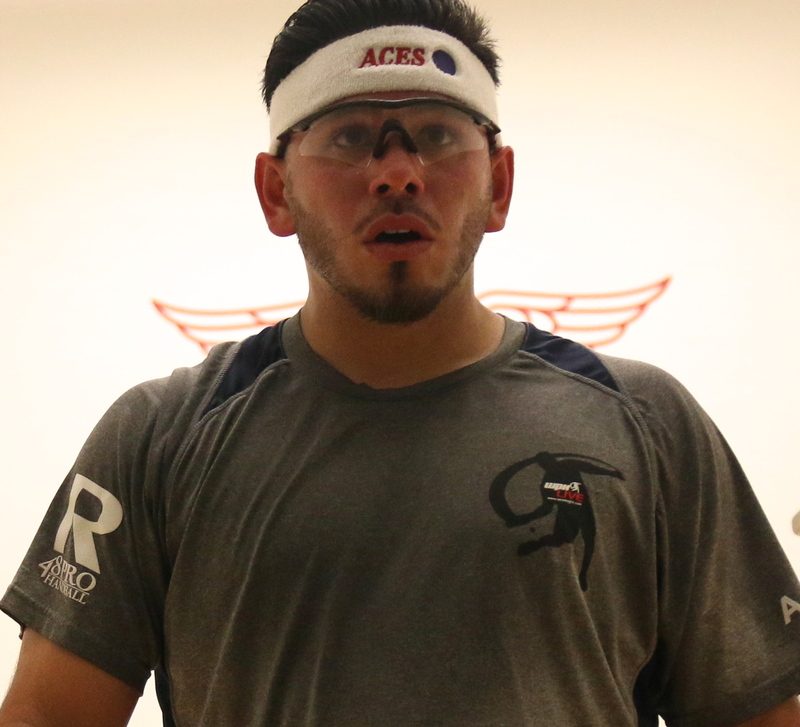 Marcos Chavez and Naty Alvarado won the first two events of this SR48 season, but both have entered the R48 IV NYAC as Elite 8 members, precluding their entries into the SR48. The Race 4 Eight NYAC is the second Race event held in New York City (NYAC ’14) and the 26th overall event on the Race 4 Eight tour since the inception of the tour at the 2011 Race 4 Eight I Plummer Bash in Coeur d’Alene, Idaho. Paul Brady has won eight R48 events (in nine starts) and could tie R48 wins leader Luis Moreno in New York with nine R48 victories. Although Moreno has not won a Race event since winning his 9th R48 event in his 18th start at the R48 III’s Houston in January of 2014, Moreno is always dangerous. A 2nd, 2nd, 3rd and 3rd in four events this season have Moreno on the cusp of claiming his 10th Race title. Although never claiming an official R48 title, Peixoto has been one the R48’s most consistent performers in the past 12 months. 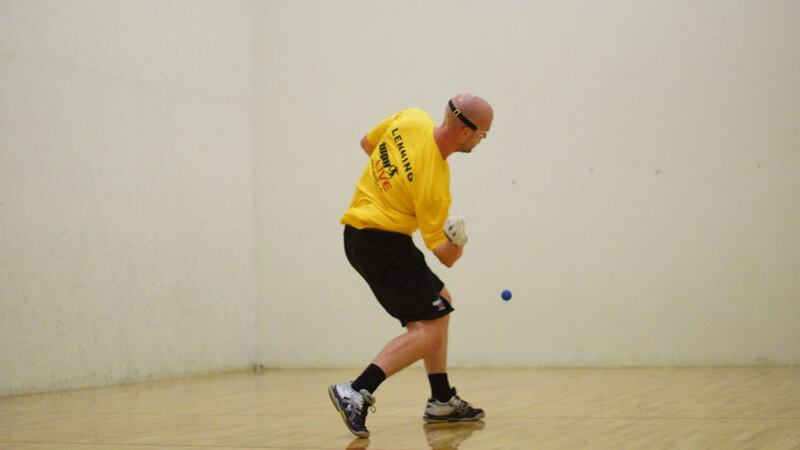 Peixoto has posted a 5th, 3rd, 3rd and 2nd place finishes this year and played most the competitive handball of any R48 star against Brady in their two matches this season. Falling from #2 in March of 2014 to #8 in November of 2014, Fink has finished 3rd, 6th and 3rd in his last three starts. Losses to only Paul Brady and Luis Moreno in his last three starts, with victories over Vic Perez and Mando Ortiz signaled a resurgence for the oldest player in the top six. Fink has climbed back to #5 on the WPH Power Rankings entering New York and assured himself of finishing in the Elite 8 for the fourth consecutive season. Ortiz appeared to be the R48’s next superstar after a R48 III campaign that featured wins over Peixoto, Alvarado, Lenning, Fink, Mulkerrins, and of course, Paul Brady, en route to a top four season-­‐ending R48 III ranking. Ortiz has struggled during the R48 IV season, dropping his quarterfinal match at the U.S. Open to Naty Alvarado, losing in the round of 16 to Vic Perez in Tucson and losing in the quarterfinals in. Alvarado seemingly retired from R48 play after spending the majority of the first three Race seasons in the top four and a semifinal run at the R48 IV’s 2014 Simple Green U.S. Open. Rather than ride-­‐off into the SR48 sunset, Alvarado has caught the R48 bug once again and entered New York’s R48 as the #7 ranked R48 pro. 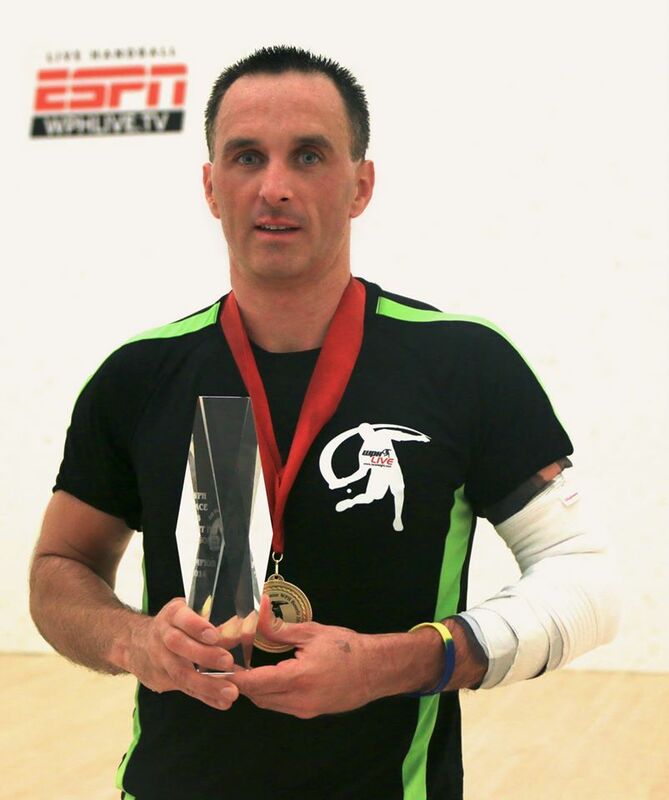 Chavez continues to remain amongst the tour’s elite after his 40th birthday, earning his fourth consecutive Elite 8 invite to the R48Pro NYAC. Chavez started his season by winning his 6th Simple Green U.S. Open pro doubles title, teaming with fellow top 16 pro Vic Perez to defeat Team Bastorniak. Chavez made his first R48 start in Tucson two weeks later, finishing a disappointing 11th. Chavez has since bounced back, winning his round of 16 matches in Houston and San Francisco with victories over Adam Bernhard and Anthony Selestow, en route to 7th and 6th place finishes, respectively. Chavez will need a strong finish in New York to be invited to Salt Lake City as an Elite 8 R48 pro. Cooney has made a huge splash on the R48 in his first full season of play, dispatching some of the R48’s best en route to the #7 spot in the R48 IV Season’s Points Standings. Cooney slumped in San Francisco, dropping his round of 16 and first round playoff match, opening the door for his closest pursuers to seize his top 8 R48 IV ranking. Seemingly coming from nowhere, Daniel Cordova has made his presence felt on the R48 IV in just three starts. 13th, 5th and 7th place finishes on the season have propelled Cordova into the 8th spot on the R48 IV Points Standings. Cordova’s round of 16 victories over Abraham Montijo in Houston and Jonathan Iglesias in San Francisco have demonstrated that he has the game and the nerve to compete with the R48’s best. Cordova’s recent USHA Collegiate National victory over arch-­‐nemesis Martin Mulkerrins have signaled the coming of a superstar. Luis Cordova claimed one of the best matches of the R48 IV season, coming back from a 22-­‐24 deficit to defeat Vic Perez 26-­‐24 in San Francisco’s 9th place final and keeping his hopes alive for a Salt Lake City Elite 8 invite. Cordova stands just .25 ranking points behind Marcos Chavez and his brother for the 8th spot. A New York Playoff duel between the Cordova brothers could determine the final invite to Salt Lake City. Montijo has advanced to the round of eight just once this season, making the most of his quarterfinal loss in Tucson to claim 5th place, accounting for over 70% of his R48 IV points. Montijo has lost in the round of 16 and the first round of the 9-­‐16 playoffs in his three other starts on the R48 IV and will need a spectacular run in New York to climb into the top 8. Perez has been outstanding at times during the R48 IV season, defeating Mando Ortiz in the round of 16 in Tucson and nearly defeating Sean Lenning in the round of 16 in Houston. Two overtime losses in the Playoffs to Luis Cordova and Stephen Cooney, in which Perez held match points, have cost him precious R48 IV points. Perez will need to channel the handball that has seen him defeat Peixoto, Ortiz and Shanks in recent years to climb into the top 8. After a stunning sophomore campaign that featured upsets over Chapman, Lenning and Fink. 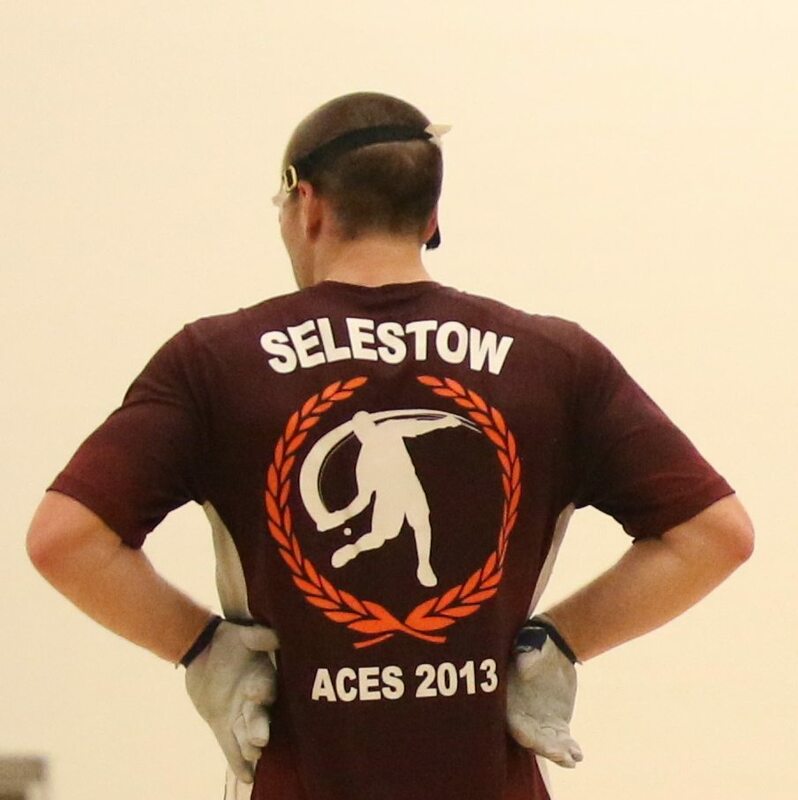 Selestow has struggled in his third season on tour, dropping all four of his round of 16 matches and winning only two Playoff matches. 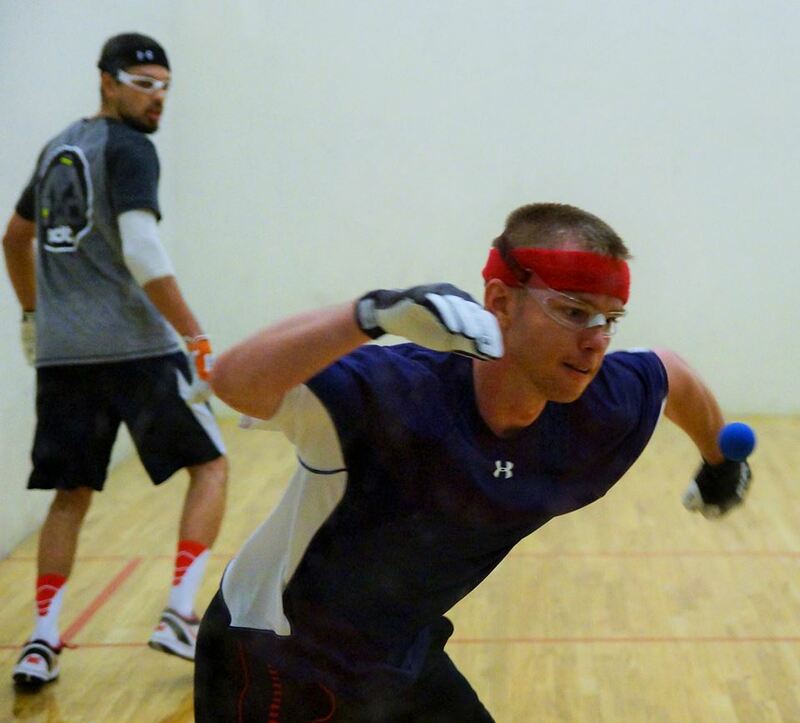 Selestow appeared to be on the verge on the quarterfinals in the R48 IV Stop #2 Tucson, dismantling rookie sensation Stephen Cooney 15-­‐3 in the opening frame, but Cooney rallied to win the next two, leaving Selestow still in search of his first quarterfinal finish of the season. * R48 IV Season Records include Playoff wins and losses but do not include qualifier results. The battle for Salt Lake City’s Elite 8 is heating up with just one stop remaining before the Player’s Championship. Brady, Moreno, Peixoto, Fink and Lenning have already secured their Elite 8 invites to Salt Lake City and year-­‐end Elite 8 statuses. Three spots remain for the Salt Lake Elite 8 invite and opportunity to finish the year in the Elite 8. Nine players have a legitimate opportunity to earn the coveted Salt Lake City invite, with Mando Ortiz leading the pack. Strong New York finishes by Stephen Cooney, Daniel Cordova, Luis Cordova, Marcos Chavez, Naty Alvarado, Vic Perez, Abraham Montijo and Jonathan Iglesias will be the difference between an Elite 8 Salt Lake City invite and potential year-­‐end Elite 8 ranking and finishing on the R48 IV’s Elite 8 bubble. Casey remained undefeated in WR48 play, winning her fifth WR48 event in the fifth ever WR48 event. Casey is only improving, as evidenced by her combined score of 90-­‐7 against her three opponents in San Francisco, including a 30-­‐0 thrashing in the final. 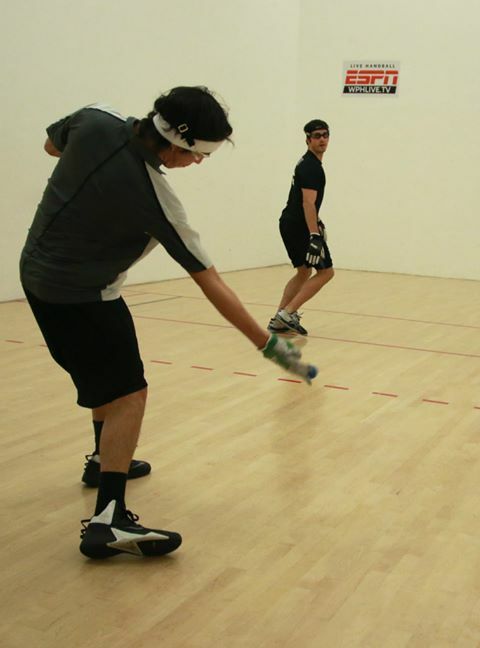 Casey picked up her fourth singles and doubles USHA Collegiate National Titles the week after San Francisco and shows no signs of relinquishing her crown as the great women’s handball player on the planet. Gawley has consistently been in the mix in each of her five WR48 starts, finishing second twice. 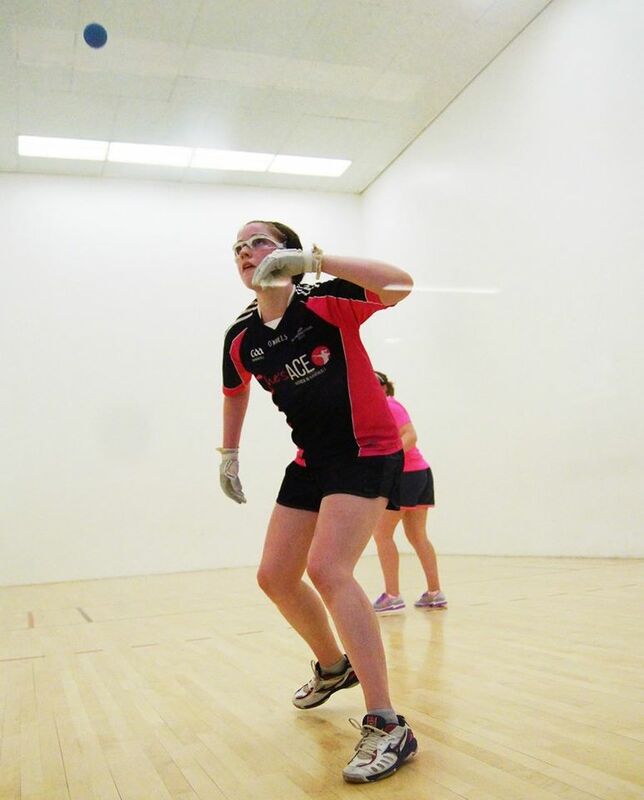 Gawley was impressive in her last start en route to the finals, soundly defeating Shirley Chen and Tracy Davis before a devastating defeat at the hands of Catriona Casey in the final. Gawley is mentally tough and should rebound in New York. Double D is perhaps America’s greatest hope to challenge Catriona Casey. Armed with the most dangerous left hand in women’s handball, Daskalakis has the skills and acumen to challenge the world #1. Perhaps Double D’s greatest asset is her competitive drive. Daskalakis is a proven winner, amassing dozens of 1-­‐Wall small ball and big ball titles, as well as knocking off WPH Outdoor women’s #1 Tanisha Groomes in 3-­‐Wall big ball. Daskalakis will continue to improve her 4-­‐Wall game with each start, and do not be surprised to see her in a WR48 final this season. 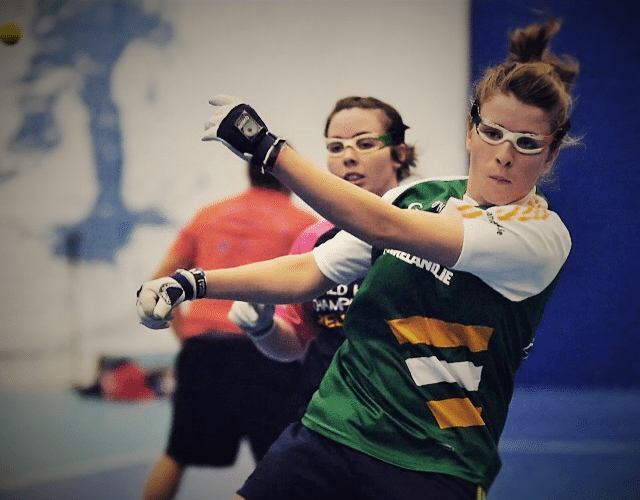 McCarthy may love handball more than anyone on the planet, as she can mostly be seen running the tournament desk and coaching kids at every event in which she attends on both sides of the Atlantic. However, beneath that love for the game belies and incredible talent for the sport. McCarthy is undoubtedly one of the game’s greatest shot makers, combining masterful control of the ball with a devastating serve. McCarthy has come up on the short end of a number of close tiebreakers in recent years, but once she breaks through, there may be no stopping her. Dugas impressed in her only WR48 career start at the NYAC ’14, providing Catriona Casey one of her sternest tests of the season in the quarterfinals en route to a 6th place finish. Dugas has been a star in the sport since her early teens and possesses top three two-­‐handed power on the WR48. Dugas will be a difficult match-up for anyone in New York’s draw. August entered her first event in over a decade at San Francisco’s WR48 II Stop #2 and appeared to be virtually the same player that captured the 2004 USHA 4-­‐Wall Women’s Pro Singles title. August nearly defeated WR48 #3 Tracy Davis in San Francisco’s quarterfinals, dropping a close first game in which she held a substantial lead and losing in a tiebreaker. August is just happy to be on the court again and expect her results to continue to improve. Possessing as much talent as any player on the Women’s Race 4 Eight tour, Ng made her first WR48 start since tearing her ACL at the WR48 NYAC ’14. Ng appeared hesitant in San Francisco, as she was still weary of her surgically repaired knee. As Ng becomes more comfortable with her movement, expect some big victories from this New Yorker. *Note, at the time of this report, Ng was not in the Women’s Event (we are hoping this brings good karma). With top-­‐ranked SR48 stars Naty Alvarado and Marcos Chavez accepting their R48 invitations at the NYAC, the field is wide open for a new star to emerge on the Senior Race 4 Eight III. Andy Schad will be seeking his first SR48 title since claiming the first SR48 Player’s Championship in 2013 with a stunning victory over his longtime nemesis John Bike. 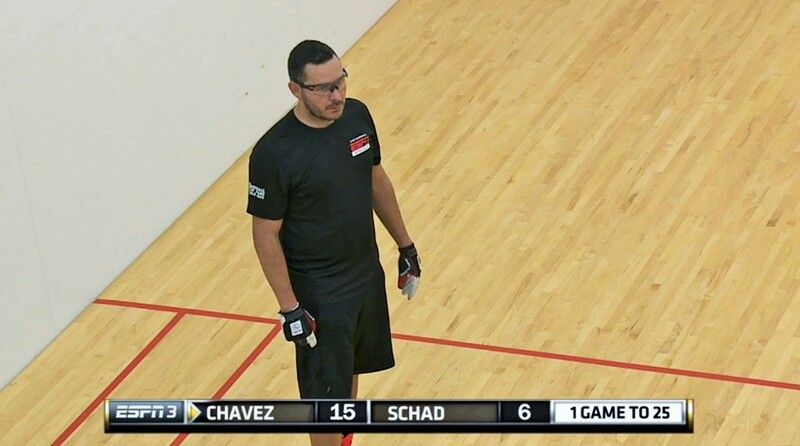 Schad has started slowly this SR48 season, losing to Dan Armijo in the SR48 III’s first event in Tucson and finishing 4th in the second event in Houston. Despite his form thus far this season, Schad is the favorite heading into the SR48 III at the NYAC. Kevin Kopchuk will be making his first SR48 start and proved at the inaugural NYAC ’14 that he has serious game, defeating then #10 Anthony Selestow in the qualifier. Tucked away in beautiful Toronto, Kopchuk has serious handball skills. “Kevin is always good because he is so smooth and he’s such a great athlete,” stating R48 qualifier hopeful and frequent Kopchuk sparring partner Ryan Bowler. Current top 10 SR48 star Chris “Waddy Dog” Watkins will be making the cross-­‐ country trip to New York in search of his first SR48 title. A weekly sparring partner of Naty Alvarado and John Bike, “Waddy Dog” knocked off SR48 II Stop #2 Denver champion Beir Meiring at the first stop on the SR48 III in Tucson in November of 2014 and appears to be poised for a deep run in New York. 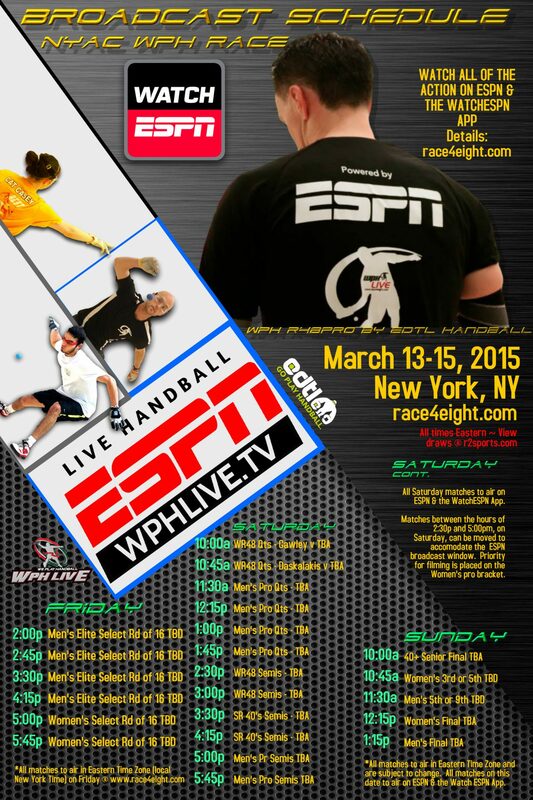 The WPH and ESPN have you covered! To watch bonus the R48 round of 16 and otejr bonus coverage on Friday, March 13th, tune into race4eight.com. You must be an All Access Pass member, so purchase your All Access Pass today on race4eight.com and support the sport while watching the game’s best! The Watch ESPN App has you covered on Saturday, March 14th and Sunday March 15th with over 16 hours of live R48, WR48 and SR48 action. Log onto Watch ESPN at http://espn.go.com/watchespn/ and catch all of the quarterfinal, semifinal and finals action from the R48, WR48 and SR48 tours.